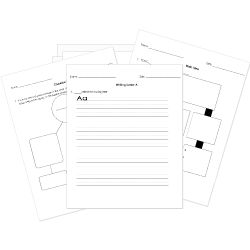 You can create printable tests and worksheets from these Grade 3 Authors questions! Select one or more questions using the checkboxes above each question. Then click the add selected questions to a test button before moving to another page. Which of the following is not true about the origin of Aesop's tales? Using evidence from the text, what is the central theme or common element of all of Aesop's fables? What made Langston Hughes famous? Does the meaning of the animals and plants used in Aesop's fables represent how we see animals today in other stories? Give an example. What lead to the death of Aesop?